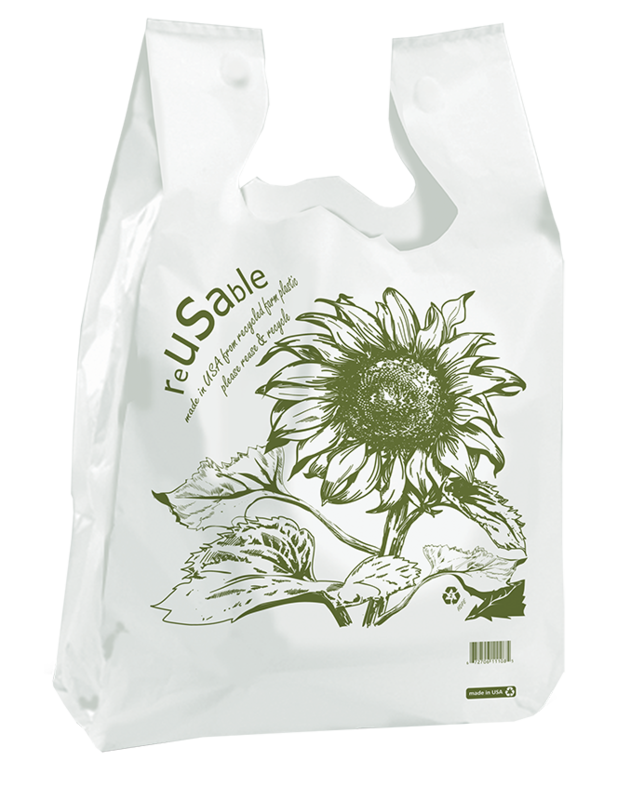 Made in the USA, RESTAURANT BAGS have been engineered for the environment and to prevent tipping - your most cost-effective walking billboard. Low 6,000 bag qty minimum. 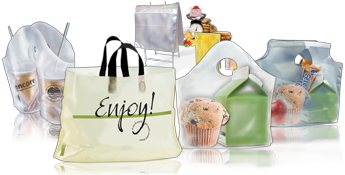 Carry out bags have soft loop handles and flat bottom gussets to help prevent containers from tipping and spilling. Comfortable die cut handles, flat bottoms, and extra wide opening of take out bags enable easy loading of your orders. To go bags have strong strap handles and expandable side gussets to help deliver a variety of orders at an affordable price. All stock take out bags are made with recycled materials and engineered to hold containers flat. Available in our most popular take out bag prints or unprinted in convenient, small case packs. Copyright © 2019 RestaurantBags.com. All Rights Reserved.